Who's interested in playing for Oregon? 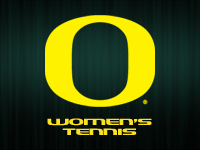 The following articles are relevant to the Oregon women's team. Alison Silverio grew up in the Midwest watching the movie Rudy and imagining herself playing at Notre Dame. She didn't play for the Fighting Irish, but she was just hired as the program's new head coach. The Ohio native spent the last four seasons in the same role at Oregon.